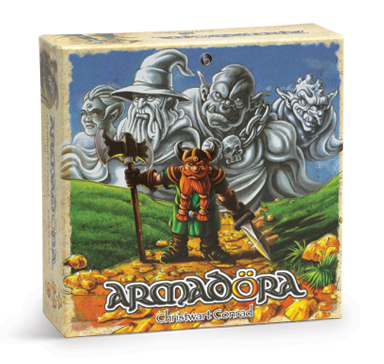 Armadora is a 2-4 player area control game. Your objective is to claim the biggest portion of the dwarven gold mines. 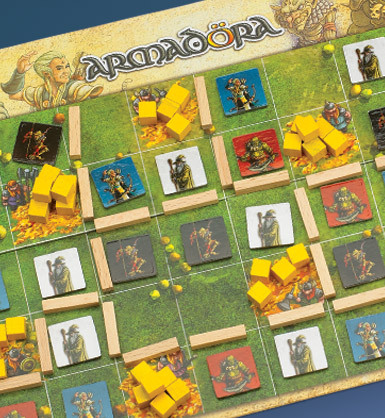 Each turn, you will choose to either place one of your tokens facedown to claim territory or place a palisade to divide existing territories in two. 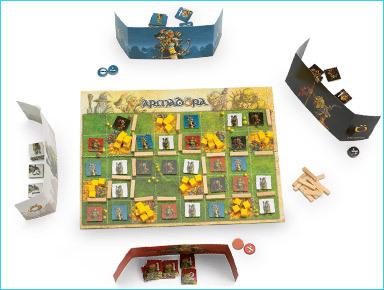 The player with the highest strength in each territory wins its gold at the end of the game. The player with the most gold wins.